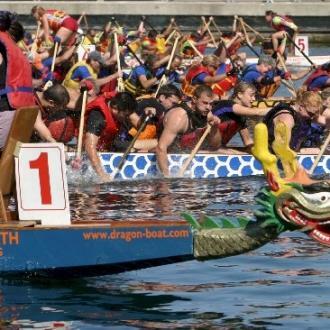 On Louisiana's Northshore, we host all kinds of events, from tennis classics to baseball, soccer and youth basketball games to saltwater fishing tournaments and dragon boat races. Our versatile venues make finding your next host location as easy as 1, 2 & 3. First, check out our venues below, next give us a call and lastly let us help you connect the dots. 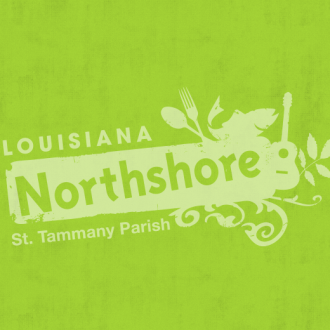 As a sporting event destination, Louisiana's Northshore is unique, exciting and affordable for families. We have the experience and knowledgeable professionals to make planning a breeze. Situated on 36 beautifully landscaped acres, the facilities include six airy show barns with a total of 284 10'x 10' permanent stalls with doors; three competition rings boast all-weather sand and limestone footing. The 300' x 300' grand prix arena with 150' pavilion allows spectators to enjoy the action. Enjoy two 18-hole championship courses designed by renowned golf course architect Joe Lee, the Magnolia and the Oak, with scenic views and spectacular landscape changes for a superior playing experience. This private course has a par rating of 72.6 and 72.2 respectively. This 46,000 sq. ft. multi-purpose facility is located in Pelican Park. The venue offers 28,000 sq. ft. of uninterrupted space that can be configured to meet your needs for volleyball, pickleball, basketball and more. The facility can hold up to 2,500 people. Features 5 lite baseball fields, 3 softball fields, 5 soccer or lacrosse fields, 4 basketball courts, 4 volleyball courts, youth water park, walking trail, batting cages and practice fields. The semi-private 18-hole course is located on the banks of the Tchefuncte River. It was originally designed in 1954 and is the first 9-hole course on the Northshore. This course has since gone through a major renovation. Course offers a par rating of 71. Located among tall pine trees, this 3 youth field lighted complex offers ample parking, bathrooms and concession area. Play on 6 professionally designed sand volleyball courts with great drainage system, air-conditioned bathroom facilities and restaurant-owned concessions. Draped in majestic oak trees on the banks of Lake Pontchartrain, this venue is excellent for triathlons, runs, kayak fishing and much more. This Park features 2 Softball fields, 1 baseball field, walking trail and 2 court gymnasium; perfect for basketball or volleyball. This 12,400 square feet recreational gymnasium can hold up to 300 people and has bleacher seating. Offers 4 youth ball fields, 1 multipurpose field, 2 court gymnasium and jogging trails. Offers 3 lite baseball or softball fields, 1 soccer, flag football or lacrosse field, batting cages, walking trail and a multiple purpose facility that houses 1 basketball court or 2 volleyball courts and seats up to 400 people. This private 18-hole course designed by Ron Garl wraps around a 150-acre, artesian spring-fed lake. The final five holes may be the most memorable as they present a variety of challenging shots that bring water into play. This 45,000 square ft. versatile venue offers a 25,000 sq. ft. grand hall with removable bleachers. Perfect for gymnastic tournaments, martial arts and dance & cheer competitions. The 18-hole championship layout is worthy of its critical acclaim, rated 4.5 Stars by "Golf Digest Places to Play." The practice facility is set on 9 acres. Target greens & hitting areas are featured on the North & South ends of the range. The short game area has a 9,000 Square Foot putting green, two chipping greens and a sand trap. Offers 33 athletic fields for baseball, softball, flag football, soccer and lacrosse, 7 sports courts, skate-park, batting cages, dog-park, 18-hole disc golf course and health trail. This boat launch accesses the best fishing in Lake Borne, Lake Catherine, Lake Pontchartrain, the Biloxi Marsh, as well as rigs, reefs and bridges. Offering a triple boat launch, on-site fuel, live bait and luxury two-bedroom apartments. Private multi-field youth complex for baseball or softball. Complex offers ample parking and concessions. This award-winning 31-mile rails-to-trails conversion for hiking and biking is perfect for half marathons and bike-a-thons. This private, beautifully manicured and maintained 18-hole course weaves its way through the estates of the neighborhood. Six newly designed holes were recently added to this interesting and naturally challenging championship par 71 course. The Club also features a large putting and chipping green practice area and a complete driving range. Marina and restaurant all in one. Located on the banks of Lake Pontchartrain, this venue offers ample boat parking, ramp, docks, gas pumps and full service restaurant on-site. The venue all features 5 professional sand volleyball courts. 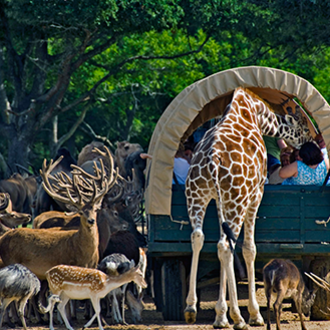 Explore St. Tammany attractions and unique personalities through our collection of videos. We're happy to help you plan your next sporting event, from venue selection to hotel booking. Look who's played on the Northshore - both national and international tournaments of all types.